Illegal immigrants have been pouring into the United States, and House Majority Leader Eric Cantor (R-VA) suggested he is willing to work with President Barack Obama to give them amnesty. 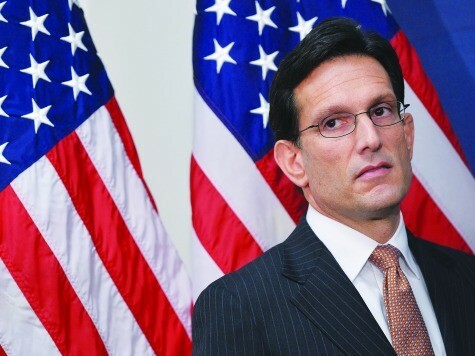 Cantor first falsely insinuated that he was not for amnesty because he was against passing the Senate’s bill without changes. 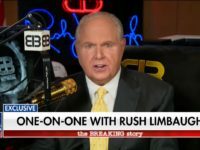 He then pivoted by saying if Obama, who enacted the Deferred Action program that has given some illegal immigrant children temporary amnesty and has threatened to unilaterally ease deportations, could demonstrate trustworthiness on immigration, he could work with him on granting amnesty to illegal immigrant children. Cantor was referring to what has commonly been referred to as his “Kids Act,” which, as Breitbart News reported, would grant amnesty to illegal immigrants who were brought to America through “no fault of their own”–like many of the illegal immigrant children who have been pouring into the country in recent weeks. Last week, the We Deserve Better independent PAC, which has been trying to set the record straight with a 30-second spot that highlights Cantor’s support for amnesty legislation, made exactly the same point. The PAC argued that Cantor and Obama’s next big deal will be to give “amnesty and citizenship” to illegal immigrants. Federal officials are dumping at least a thousand illegal immigrants in Arizona this weekend, and some of them will then be moved to military bases in Oklahoma, which Sen. Jim Inhofe (R-OK) said threatens America’s national security. Breitbart Texas first reported that illegal immigrants were overwhelming the system and being warehoused in Texas, forcing the Obama administration to send them to neighboring states. In remarks to Breitbart Texas on Friday, Sen. Ted Cruz (R-TX) said Obama’s lawlessness has exacerbated the problem, which is consistent with what immigration officials told the Los Angeles Times months ago. Immigration agents told the Times that “changes in U.S. policy to expand legal residence opportunities in the U.S. for undocumented youth,” also account for the “rapid surge” of illegal immigrant children crossing the southern border. Cantor, in language that was adopted in the House GOP’s immigration principles, has said that “one of the great founding principles of our country was that children would not be punished for the mistakes of their parents.” United States Citizenship and Immigration Services (USCIS) National Council President Kenneth Palinkas mentioned months ago that if that is the case, Congress would have to perpetually grant amnesty to children who would qualify under the Kids Act, attracting even more illegal immigrants to attempt sneaking into America. As Breitbart News has been reporting Cantor has been sending many deceptive anti-amnesty mailers ahead of his June 10 primary after his top ally was ousted from an important GOP chairmanship position last month. Cantor’s website also makes no mention of his support for amnesty for illegal immigrant children and citizenship for illegal immigrants who enroll in the military.